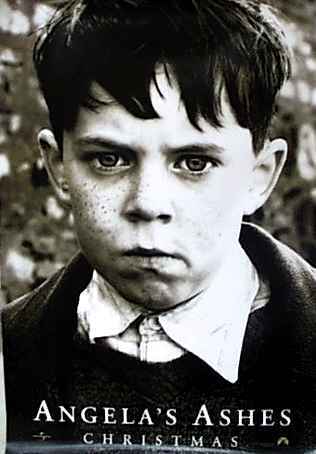 With more squalor than Big Brother’s Wine bottle incident, more infant deaths than Jude The Obscure, and a poster depicting a small Irish child with a face like a cross between a bulldog and Robbie Williams, it's a wonder that this isn't the most depressing film ever made. Trust Alan Parker to not only squeeze some desperate, almost Beckett-style humor out of the proceedings, but even to do it with his customary panache so that Angela's Ashes becomes a well written and superbly acted film. Some of this humor hurts, but for the most part it's Steptoe & Son territory, where the characters are dirty and nigh-impervious to dignity, but somehow likeable and certainly worth caring about. And I think you'd better care about these characters, because the film that houses them is, very, very long; perhaps a little too much for the small uncomfortable cinemas it was condemned to play in. I remember my legs hurting a fair bit by the end of the film, but then there's so much utter poverty on display of a level that makes you ashamed to live in a civilized society, that it does make any discomfort easier to bear. Parker's evocation of the 1930s period detail, through both mise-en-scene and his suitably dank and drained cinematography, is quite exquisite, from every authentic shirt button to the camera's regular visits to O'Connell Street, where you genuinely can't see the covered-up modern road signs. All this is par for the course in the hands of a set of well-chosen professionals like these, though. It's the story that counts, and it's mostly well-told and nicely put together, even if it does drag on a bit towards the end because they were probably trying to get all the best bits out of the book. The first hour or two, though, shows what can be done on a cinema screen with a simple story and some quality actors. It could have been a stage play, but this way it gets a bigger audience, and that can't be a bad thing.